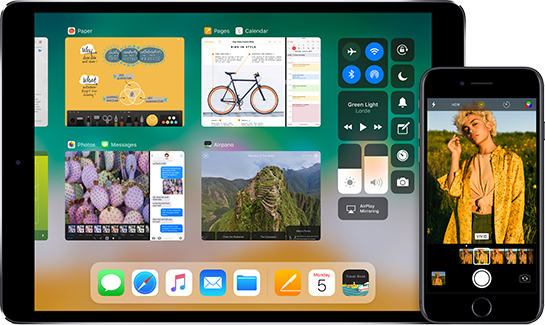 Apple on Monday introduced iOS 11, the next major version of its mobile operating system for iPhone, iPad, and iPod touch. iOS 11 is compatible with 64-bit devices only, meaning the iPhone 5, iPhone 5c, and iPad 4 do not support the software update. The first iOS 11 beta was released to registered Apple developers on Monday. A public beta will be available in late June through the Apple Beta Software Program. The software update should be officially released in September. I'm surprised the 5S is still supported even if it's a 64 bit phone. Apple needs to push more under the bus in order to sell newer devices just as they do with the desktop. I'm sorry but as a user how can you possibly advocate this? It's a good thing they support older hardware. What benefit is there to you if they drop support early just for the sake of making more money? Also your comment about desktops is untrue as iMacs dating as far back as 2009 will run High Sierra. It seems Apple support desktops (and laptops) for longer than they support phones. Get an SE, it's the same form factor but EVERYHTING is better or faster. +1. I've never understood that mentality of company over consumer - from consumers:eek: I could almost understand it from someone with Apple stock... almost. Considering the fluctuations of AAPL have very little to do with sales at Apple, even that doesn't hold much sway, imo of course. My 2011 MBA will be compatible with HS, and one of my iPads and my daughters' 6 & 6S will be compatible with iOS11. That's great from a consumer perspective. The fact that I'm upgrading none of the devices to HS nor iOS11 is irrelevant. The fact that I can is what should be appreciated. Even Apple isn't likely to view that as a good strategy. They know one of the reasons their iPhones sell so well is that they hold their value so the buyers who can afford to upgrade annually do so with confidence. The people who obtain the second-hand iPhones (and other iOS devices) weren't likely to buy new anyway and meanwhile they also become immersed in the ecosystem and become Apple oriented when they do work up to a higher disposable income level and start buying iPhones firsthand themselves. You see this all the time with kids who get iPhones as hand me downs. There are some kids in my family who get old Samsungs as hand me downs. The experience is not the same. I'm a huge fan of Samsung flagships and I expect to get at least two years out of my current Galaxies. Beyond that, I'm not confident of the support my Galaxies will receive. The hardware is amazing and I love Samsung's version of Nougat. I just don't know how viable my phones will be as hand me downs to any interested family members. I have no clue what the resale value might be. I'm not going to even try as I intend to use them in VR and that usage will probably shorten their lives anyway. And I was talking to my cousin's kids about their hand me down Samsungs and all they could talk about was how lucky the other kids in the family got the old iPhones. They want iPhones when they start earning their own spending money. I'm kind of sad about that. I really like the Samsung phones. I'd like to see them get more popular and keep Apple on its toes. The competition is a good thing for all of us. So the iPad Air will get popover, but not the other multi-tasking features, did I get this right? Yep, just like it’s been since iOS 9. May I ask why? The phones at least should handle it pretty well - just don't like the features? I hear you on the mac front though, early 2011 MBP here, even with RAM and SSD upgrades she ain't as nippy as she used to be. I am surprised by this. I love my iPad Mini 2, but iOS 10 makes is almost unusable. It behaves as if it is low on RAM and is page swapping everything.